Living in this highly urbanized information age, where our lives are becoming more and more virtualizes by the day, has awakened the desire to connect with nature within me. Together with unceasing news of environment problems from the media, it has gradually turned this desire into anxiety. 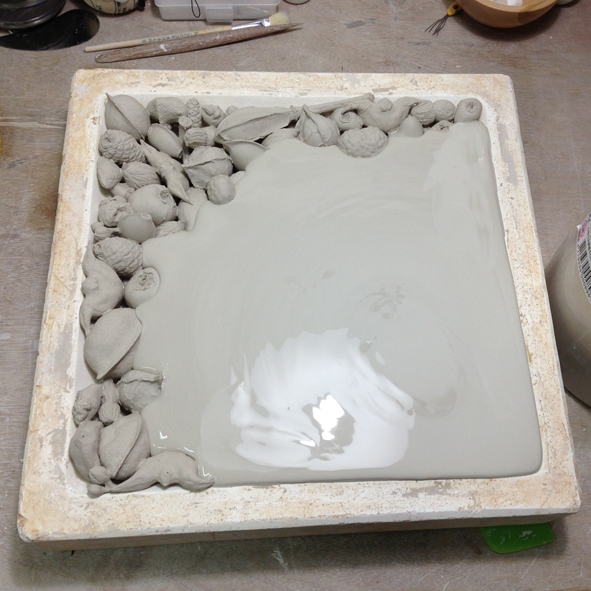 As a ceramic artist, I have adopted the making processes for my artwork as a meditative approach to this uneasiness. My work is the manifestation of doubts concerning my relationship with nature. Through the repetitive, labour-intensive actions of collecting, mold making and casting of botanical elements from my immediate environment, I look into the psychological aspect of my urge to connect with nature. The result of these activities also holds an archival quality in my artworks. These processes are like an accumulation of “vocabularies” which are later visualized into a “language” as an expression of my thoughts in regards to my environment. 2014 - 2017 Utatsuyama Craft Workshop, Kanazawa City, Ishikawa Prefecture, Japan.